For those of you who manage a Facebook Group, you’ll want to make sure you use the Facebook Group pin post to top feature. This is an extremely valuable tool for your group and one that often gets overlooked. What is the pin to top feature for Facebook Groups? The Facebook Group pin to top feature is a way to make a Facebook post within your group stay at the top. This is extremely helpful because it lets you keep important content, links to documents, or posts available for all Facebook Group members. To use the Facebook Group pin post to top feature, follow the instructions below. 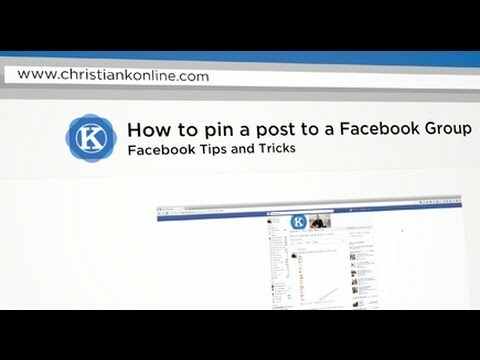 While it’s easy to pin posts to the top of a Facebook Group, I’m sure you still have questions. We’ve compiled a list of some of the frequently asked questions we receive on using the Facebook Group pin post to top feature. What can I pin using the pin post to top feature? You can pin anything you have posted in your Facebook Group. For example, you can pin a link to a Google Calendar, a post about Facebook Group rules, a photo that you have shared, and more. Can I pin multiple items in a Facebook Group? No. You can only pin one item at a time to the top of a Facebook Group. Fortunately, you can use Facebook Graph Search to find old posts. How do I unpin a post from a Facebook Group? To unpin a post from a Facebook Group, repeat the above steps and select unpin post from the dropdown. Besides calendar invites and website links, what other content are you sharing with group members with the Facebook Group pin post to top feature? Next Next post: Social Media recruiting – is it working?